Turkish Airlines is expecting 25 new B787-9s in 2019. The new aircraft are going to accompany 25 new A350 aircraft. The most exciting part of the new B787 is that Turkish Airline’s new business class will be included onboard. Now, thanks to a couple of images leaked by a Turkish newspaper, we have an idea of what to expect. Thanks to Lucky at One Mile At A Time for spotting this. 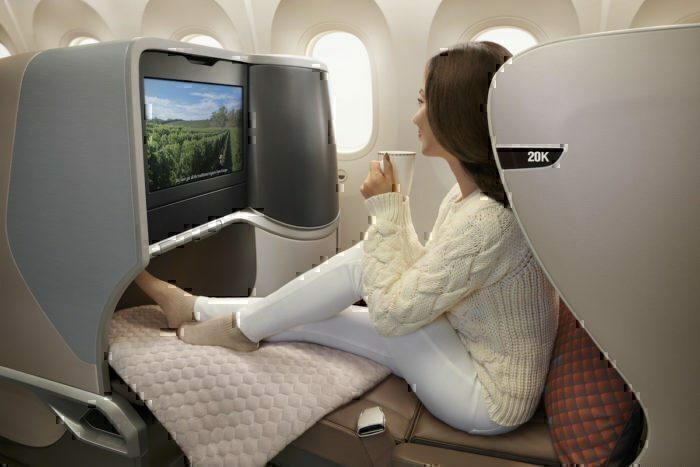 Turkish Airlines is yet to formally announce its new Business Class cabin. Turkish Airline’s supposed new business class. 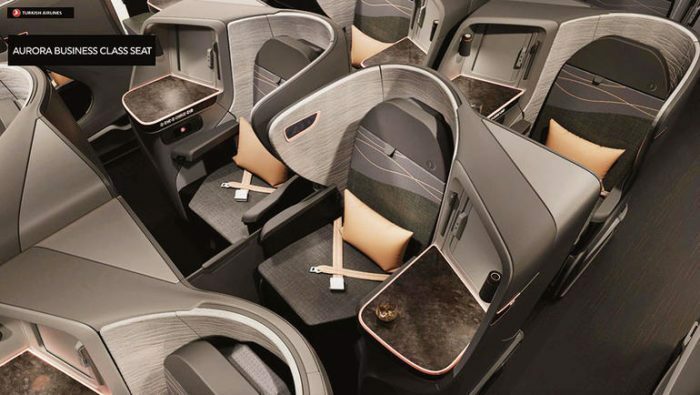 From the images released by the newspaper, it looks as though the new business class seat is that which Singapore Airlines currently employs. You can read a review of Singapore Airlines’ flight to Bali right here. 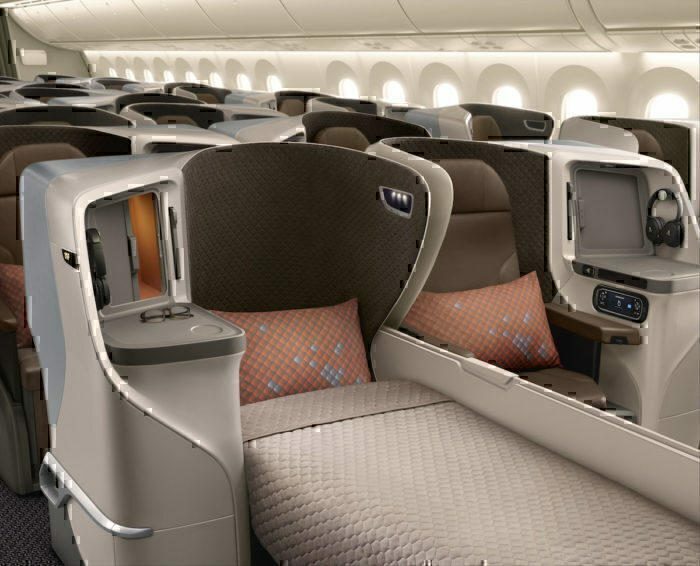 The Singapore Airlines 787-10 Dreamliner has a total of 30 business class seats in a 1-2-1 layout and each seat goes into a fully flat bed and has 30 inches in width. 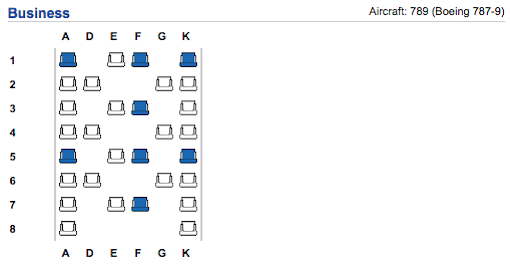 According to the seat map released by Turkish Airlines, their B787s will also have 30 seats. The seats become lie-flat beds. The new seat will mean that every passenger gets direct aisle access. The seats will be staggered as is commonplace in today’s business market. In fact, this essentially means that space is saved by placing your feet under the table of the person in front of you. The seat is based on the Stelia Solstys III seat by Stelia Aerospace. The seats fit Turkish Airlines’ previous statements regarding the seats. The airline previously told that the new seats will be private and will feature direct aisle access. The 787’s business class seat plan. Turkish Airlines are currently making a number of changes to their products. These are due to accompany their move to the new Istanbul Airport at the end of the year. Unfortunately, the new business class will not be rolled out to any existing aircraft as there is no retrofitting plan in place. Another of the changes made by the airline is a new uniform. The new cabin uses similar seats to Singapore Airline’s current business class. Singapore Airlines’ business class in use. 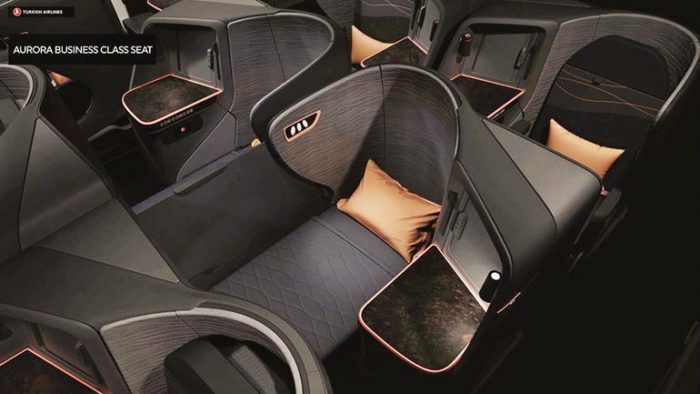 What do you think of Turkish Airline’s new business class seats? Let us know in the comments down below!